if you don't have the ability to record at home you're missing many opportunities! 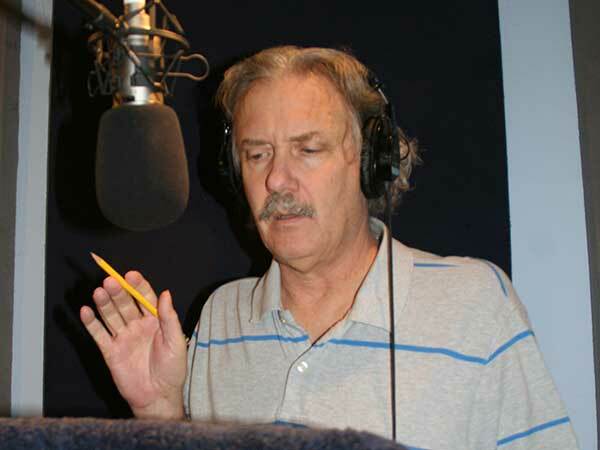 The voice over biz is rapidly moving toward the point where you'll have to have a home studio to participate. This is actually good news because it will cut down on driving and allow you to respond quickly to auditions that might come up. Also much of the production work for clients is now done at the talent's studio. It will also let you work for clients anywhere in the country (or world!) So take the plunge and be prepared. To make this as painless (and inexpensive) as possible, I've come up with a variety of possible recording equipment suggestions that will get you up and running with a minimum of hassle. I'll describe three levels of gear that will work. I suggest several different products as examples BUT I'M NOT ENDORSING ANY SPECIFIC PRODUCTS! Use this information as a starting point to do your own research and ask around to determine the best way set up your own system. Once upon a time everything was recorded to magnetic tape. Nowadays it's all recorded directly to hard disc on your computer. So we'll start by assuming you have a computer-- desktop or laptop, it doesn't matter although I find the laptop more convenient. With a laptop, a USB mic and a high-speed internet connection I can submit auditions from anywhere. But I'm getting ahead of myself. Lets talk about the recording software first. If you have a PC (or a MAC including Intel Macs or Linux) you can download and install recording software called Audacity. Audacity is a open source program that’s a FREE download that will let you record, playback and export your recordings as well. It has some peculiarities but it produces broadcast quality audio and allows for very easy editing to clean up your auditions or do final production for a client. You also need to download the LAME library to create mp3 files. If you have a recent MAC you’re in luck. Newer Macs come with the Garage Band application installed. Garage Band is recording software for the Mac that allows you to record, play back and export you recordings in all the popular file formats. Both of Audacity and Garage Band produce broadcast quality audio so with either one your good to go. Audacity is much easier to edit with! So now you have your recording software. Next you need a quality microphone. If you're trying to keep the cost down the most most convenient mics that I've found are USB Microphones. 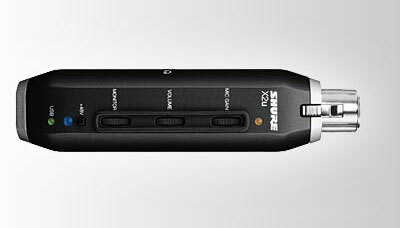 These mics don't require any type of interface box--they simply plug directly in to your computer's USB port. 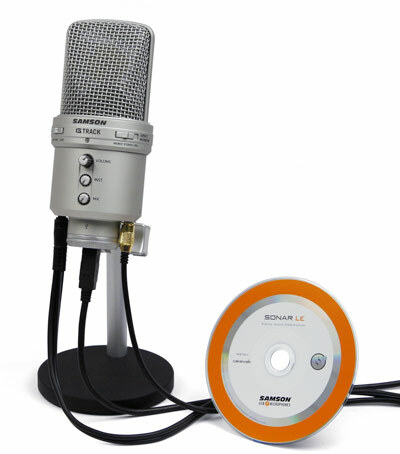 The mic takes your sound and then digitizes it right in the mic and sends it over a USB cable to your computer to be recorded. 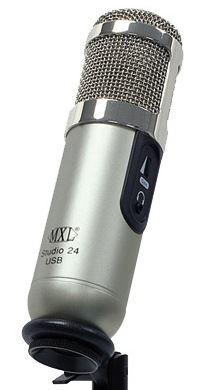 You can get a good quality USB mic for $100-$250. I prefer a better condenser mic because they have a wider frequency range and are less noisy than dynamic mics. The upside of USB mics is that you don't need additional hardware so with your laptop and mic you're up and running. The downside is that there can be a slight delay in the signal (called latency by us audio freaks) so if you want to listen to yourself with headphones as you record you get a slight "Elvis in the stairwell" delay. This is more pronounced with software monitoring as opposed to hardware monitoring. There are many new USB mics coming along all the time. Here's are the good quality ones I'm aware of at this point. They are in order of street price in each table. If you already have a quality microphone (a low impedance condenser for example -- not a headset or a rock 'n' roller's SM58, or a Guitar Hero mic) here's some handy gadgets that let's you convert the XLR analog output to a USB output. You'll also need a microphone desk stand or regular mic stand. Usually I like to stand up for performances so I use a boom stand but for long sessions or practicing I'll get lazy and sit down and then I use a desk stand. You also want to get headphones to listen to your playback. Headphones let you hear every detail, noise, room echo, etc. Good ones to get are Sony MDR 7506. They're pretty much an industry standard. Well, not at Best Buy or Staples (well, actually some of the mics might be at Best Buy). These types of products are available at most big music stores such as Guitar Center and Sam Ash and the like. You can also shop online at Musicians Friend, Sam Ash, Sweetwater, and other online stores. DO NOT PAY "RETAIL" FOR ANYTHING!! ALL THIS STUFF IS DISCOUNTED TO SOME DEGREE! IT MIGHT HAVE A "LIST" PRICE OF $250 AND ACTUALLY SELL IN THE STORE FOR $99!! WITH THE FAIR PRICE WHEN YOU ACTUALLY GO TO THE STORE!! SYSTEM PREFERENCES >>SOUND >> INPUT (MACs). Always record your voice to a MONO TRACK (NOT STEREO)!! You've only got one mouth (I hope!) and one mic so you only need ONE Track. A stereo track wastes hard disc space and can have weird audio problems (phase shifting, artifacts, echoes) when mixed to mono. The only way to learn to record is to do it. You can read a book about how to use a hammer but sooner or later you've got to go out and pound some nails. So set it up, test it out, debug it and have at it. There's an entire world of happy ears out there waiting to hear your golden pipes! One of the most exciting advances in audio technology is the USB microphone. These devices approach the concept of the "Digital Microphone" that has been spoken of by audio prophets for decades. Basically it's a good old-fashioned analog mic with backend preamp and analog-to-digital electronics that creates a digital data stream from the mic signal. This data is then sent to your computer over a USB cable into your computer's USB port. COOL! The upside of USB mics is that you need no extra hardware to use them. Plug your USB Mic into your Laptop and you're good to go! So what's the downside? Well, bunches. First of all, some USB mics don't allow to to adjust the GAIN or amplification of the mic. If it is adjustable it might be switchable in different levels. Second, all of that processing and digitizing and transmitting causes a lag in the signal we call "latency". This latency makes it difficult to monitor your voice in real time by listening with headphones. There is a distinct "lag" in the headphones that give you that "Elvis in the Stairwell" effect... very disconcerting. Finally mixing the mic signal to, say, split it to route it to a phone patch is nigh unto impossible. The manufactures are aware of these shortcomings and a few have added features to overcome them. Table Two shows mics with adjustable headphone jacks for zero latency monitoring. 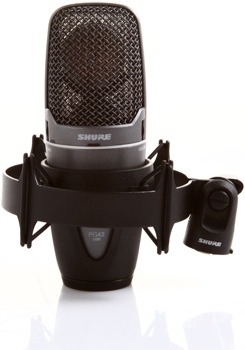 Several of these mics also have adjustable gain control on the mic. Table Three shows mic that use the latest chip set that provides 24 bit/96 kHz operation. This isn't requested much right now but may be required in the future. Finally, if you have a good analog mic already, look into the XLR to USB adaptors that let you turn an ordinary mic into a USB mic with headphone monitoring and gain control. Look for other manufacturers to add these features to their newest offerings.